I know I haven't posted anything here for months, but the summer was busy and new puppy Oliver has taken up a lot of my time. I haven't been blogging but I haven't been quilting either. 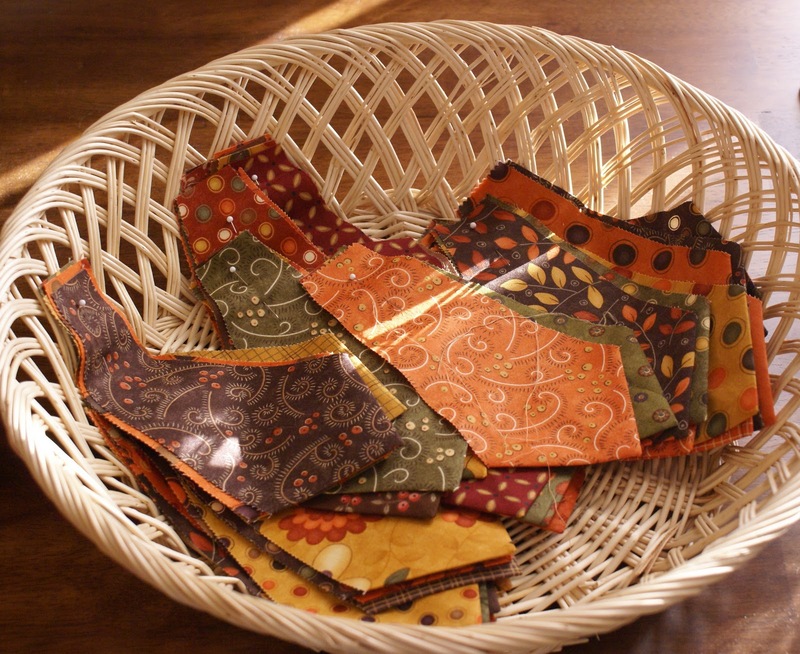 Now that we are well into fall and Oliver has settled down a bit I am finding more time to quilt and am happily spending time in my sewing room again. 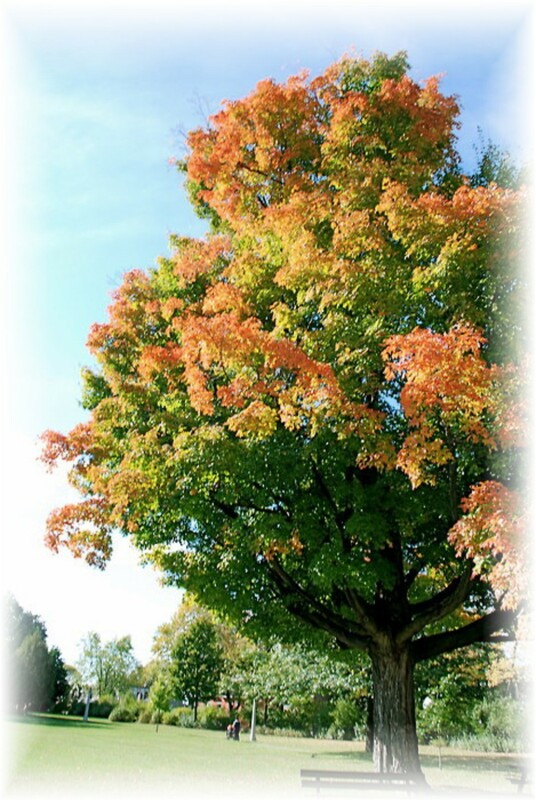 Fall has been lovely this year. Many warm, sunny days, cool nights and beautiful colors. 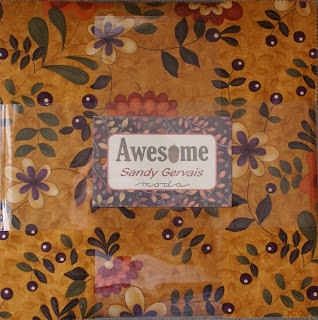 When I found layer cakes of "Awesome" by Sandy Gervais at the local quilt shop a couple of weeks ago, I was inspired. 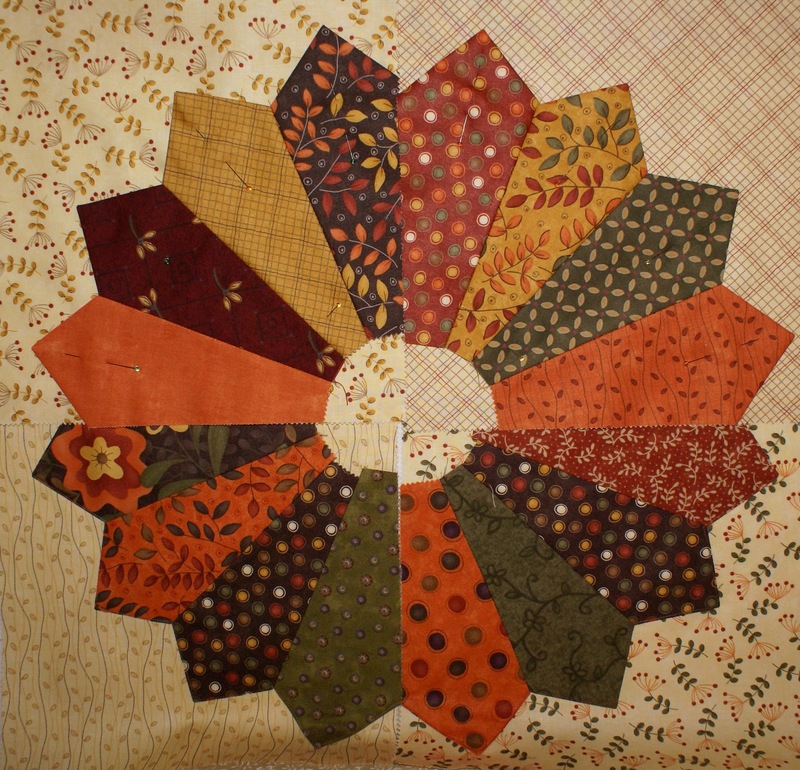 I bought two layer cakes, added a few matching fat quarters from my stash and started to design a new fall quilt. 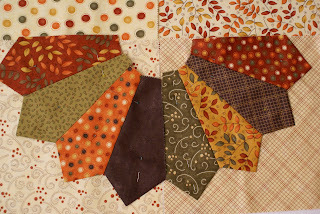 I decided to make dresden plate blocks (thought the fan shapes in these fall colours look like turkey feathers). The wedges are sewn together into groups of four and appliqued on to background squares. The dresden plate blocks are combined with these on point blocks. Together the blocks look like this.......a work in progress on my design wall. Maybe some more applique and a pieced border. 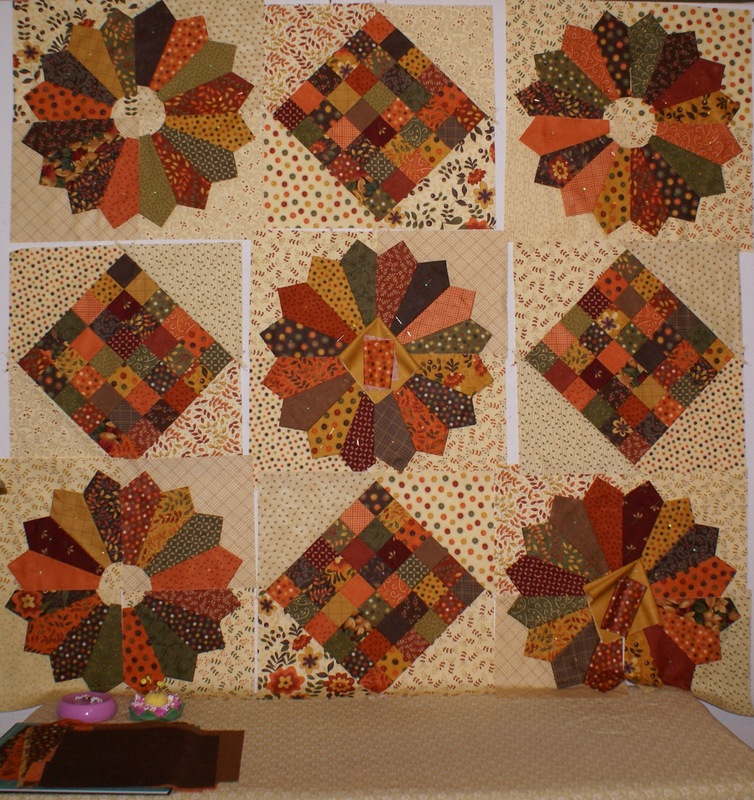 I have promised myself this quilt top will be finished before fall turns to winter. You quilt beginning is wonderful. I can't wait to see it finished. Welcome back to blog land. It's good to see you again! 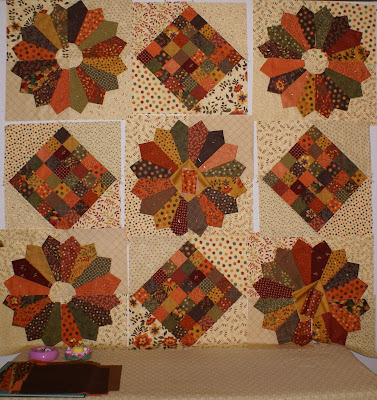 Such a cute autumn blocks! They looks wonderful! A perfect quilt for the season! 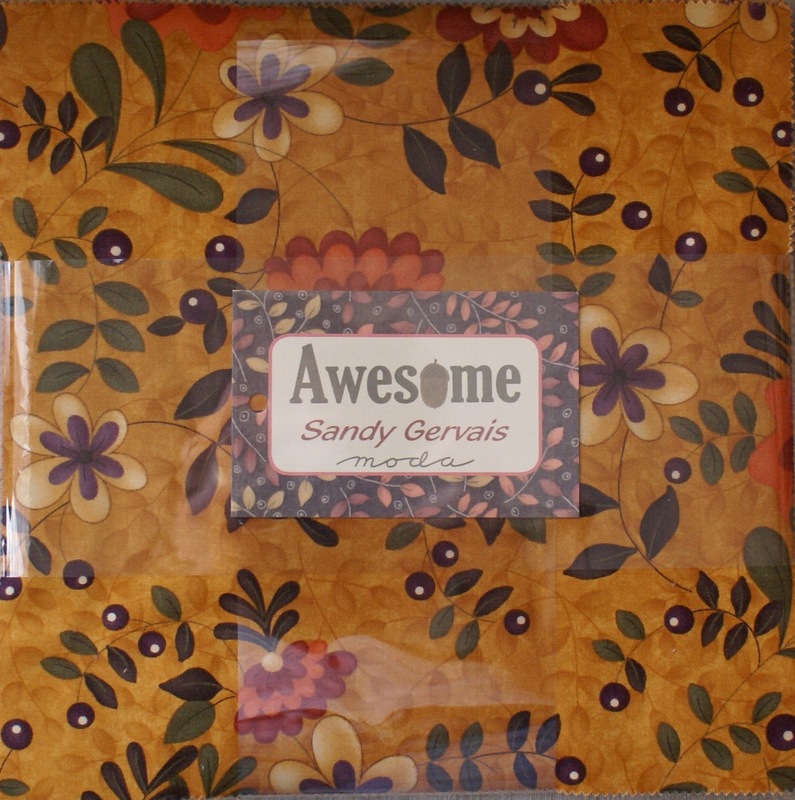 The dresden plate is one of my favourite patterns and I am really liking the fabric. 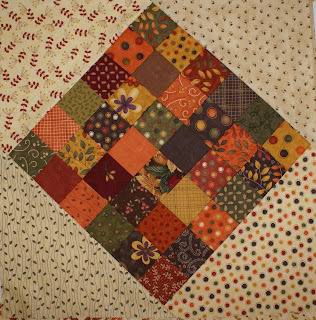 The fabrics do really blend well for this stunning quilt. Need I say how much I like fall colors in quilts anyhow, but your choices are really great! These blocks are lovely and I like the autumn colours.